20-year-old Will is on his stag-do when, handcuffed to a lamppost, he is rescued by Michael. The attraction between the two men is immediate. But back at Michael's apartment, Will is sent into a tailspin of shame and confusion. Schmitke is an old German wind turbine engineer. One day, he is dispatched to the Czech side of the Ore Mountains to fix an old squeaking wind turbine. His colleague disappears and mysterious things begin to happen in the forest. A Korean's "Death In Venice"
This film brought a lot of positive surprises for it wasn't quite what I expected. It is a close Korean version of Luchino Visconti's "Death In Venice" which was based on Thomas Mann's book. 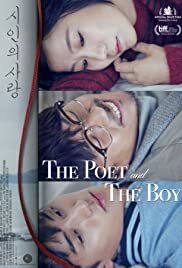 Here except Mann or Visconti took the high horse on Platonist love as an adoration of physical beauty, Kim Yang-he, the director of "The Poet and The Boy" took the deep plunge into the soul of a poet who finds love in an obsessive yearning for a young man. Because "Death In Venice" was set in the early 1900s, the period and the take on the subject bind the character and the film in restrain and detachment. 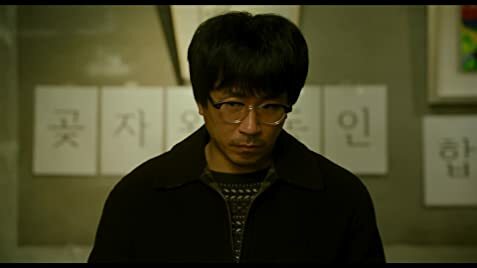 In contrast, "The Poet" and the casting of Yang Ik-Joon in particular, is among one of the many reasons why this film has a lot more warmth. Also, unlike "Venice", this isn't about physical beauty but about wanting to connect through kindred of feelings. By comparing these two films, the question then arises on what is love? Is it physical attraction or kindred of feelings? Or perhaps both?